This is an undergraduate introduction to the Western Religious Traditions, with specific emphasis placed on Judaism, Christianity, and Islam. The goal of this course is to highlight these traditions both in their own right and within a broader comparative perspective. In addition to tradition specific overviews of scripture, historical developments, ritual/worship, theology, and authority, comparative discussions focus on issues of monotheism, gender/sexuality, secularism, pluralism, and nationalism/politics. Concordia Description: An introduction to the study of religion and the major Western traditions: Judaism, Christianity, and Islam. 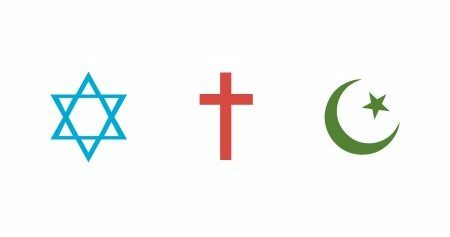 This is an undergraduate introduction to the three faith traditions, Judaism, Christianity, and Islam. The course is team taught, usually between faculty members from the McGill School of Religious Studies, the Department of Jewish Studies, and the McGill Institute of Islamic Studies. Traditions are presented in successive order (Judaism, Christianity, Islam), with 6–7 lectures devoted to each, followed by a series of comparative lectures. The goal of this course is to highlight these traditions both in their own right and within a broader comparative perspective. McGill Description: An introduction to the beliefs, practices, and religious institutions of these three world religions.